"Nils Burwitz has a seer's vision of the human form. His authority of line goes deeper than the flesh. More than the faces of Africa emerges in his work; the essence, personality and spirit of whichever part of the continent he has lived and worked in. There is the beauty of truth in his vibrant talent." Nils Burwitz was born in 1940 in the Baltic port of Swinemünde, where his home was within a stone's throw of the Iron Curtain. In 1945 his parents fled to West Germany but found it difficult to resettle. They then moved to South Africa in 1958. There, at the University of the Witwatersrand in Johannesburg, Burwitz obtained a Bachelor of Arts in Fine Arts degree and also won a bursary which took him back to Europe. On his return to South Africa he worked extensively with architects, composers, poets and dramatists, and taught in his alma mater, Dorkey House, Johannesburg and in Soweto. In 1976 he settled with his young family in Valldemossa, a mountain village in Mallorca, halfway between Africa and Europe. Nils Burwitz has been awarded prizes in Brazil, France, Great Britain, Ireland, Italy, Japan, South Africa, Spain and the USA. His works have been acquired, inter alia, by the Albertina (Vienna, Austria), the Albertinum (Dresden), the Library of Congress (Washington, USA), the Boston, Buffalo and New York Public Libraries (USA), the Kunsthalle in Dresden and Hamburg (Germany), the Museum Ludwig, Cologne, the National Museum in Warsaw (Poland), the Fitzwilliam Museum, Cambridge (England), the British Museum and the Victoria and Albert Museum in London (England), etc. His stained glass windows are to be seen in the Anglican Church of St. James and St. Philip (1991) in Palma de Mallorca (Mallorca, Spain), in Santa Eulalia (1993), the oldest church on the Balearic Islands, Palma de Mallorca, (Mallorca, Spain), the rose-window in the Basilica in the Monastery of Lluch (1994) (Mallorca, Spain), the Hermitage of the Holy Trinity (1997) Valldemossa, (Mallorca, Spain), the Consolat de Mar, seat of the Autonomous Government of the Balearic Islands (1999), Palma de Mallorca (Mallorca, Spain), the church of St Peter & St. Paul in Algaida, (Mallorca, Spain), the Ergoline Training Centre in Windhagen (1999), (Siebengebirge, Germany), East Worlham, (2001), (England), the Royal Carthusian Monastery in Valldemossa, (2004), (Mallorca, Spain), the Monastery of Cura, (2005), (Mallorca, Spain) and a cupola in the Castillo Hotel Son Vida in Palma, (2006), (Mallorca, Spain). Amongst the various sculptures that he has been commissioned to do, the large sculpture consisting of four separate units for the 'Plaza de la Concordia' in the town of Sa Pobla, Mallorca, was inaugurated in November 2005. Amongst the many prizes he has been awarded is the ART CRITICS AWARD from the Bienale of Ljubljana in 1975; the FIRST PRIZE - CIUTAT DE PALMA, (Palma de Mallorca, Spain), 1981; the FIRST NATIONAL PRIZE FOR WATERCOLOUR from Acuarela Guarro Casas, (Barcelona, Spain), the PRIX DE LA VILLE DE MONACO, 1980; His design for the MONUMENT FOR TOLERANCE (ZAHOR-1691) won the first prize in 1995. In 1999 he received the first European Citizen of the Balearic Islands award. 2003, the Premio Diario de Mallorca. In 2004, the Premi Populars Cadena COPE - Bishop Teodor Ubeda. 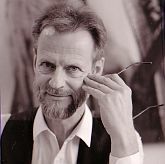 In 1996 he collaborated with Joachim Schroeder on three documentary films on South Africa and Namibia commissioned by WRD/ARD, Cologne, (Germany). In 1997 he took part in the BBC/TV production "Songs of Praise" with Sir Harry Secombe. With sixteen artists (Allen Jones, Immendorf, Nam June Paik, Polke, Sol LeWitt, Walter de Maria etc.) he collaborated with the lithograph 'Cradle of Mankind' in the KULTURKOFFER 'DIALOGUE OF CULTURES', which was produced by E.A.Quensen, Lamspringe (Germany) for the EXPO 2000 World Fair in Hanover (Germany), in aid of the Nelson Mandela Children's Fund. He has designed many posters. In 2001 he was charged with designing and executing the poster celebrating the 50th anniversary of the foundation of the United Nations High Commission for Refugees. (In the most recent poster, The Einstein Legacy (for the Max Planck Institute for Extraterrestrial Physics, Munich), he collaborated in the design and did the drawing of Albert Einstein. He has dedicated the last eight years as a very active member of the Hermandad de Donantes de Sangre (The Brotherhood of Blood Donars) in Mallorca. In 1975 his work received the Art Critics Award during the XI Graphics Biennale in Ljubljana, (Yugoslavia). Zoran Krzisnik, organiser of the event and Director of the Museum of Modern Art in Ljubljana, says this of his work: "Nils Burwitz is bent on confrontation NOT to antagonise but to find complimentary solutions, making extremes meet and embrace ... With Nils Burwitz thought and technique go hand in hand, they are super-imposed and fused, revealing the poignant commitment of the artist. It is no wonder then that Nils Burwitz, on the strength of his work, ranks amongst the most consistent interpreters of human relationships, amongst the foremost artists in the world committed to the cause of humanity."